Update alert: I forgot a very important ingredient! Sugar. It may sound strange but my mom has always thrown a pinch of sugar into her spaghetti sauce; it cuts the acidity. Try it, you'll like it. 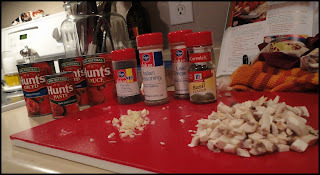 I have always loved making my own spaghetti sauce; it is so easy and yummy there is really no reason not to! 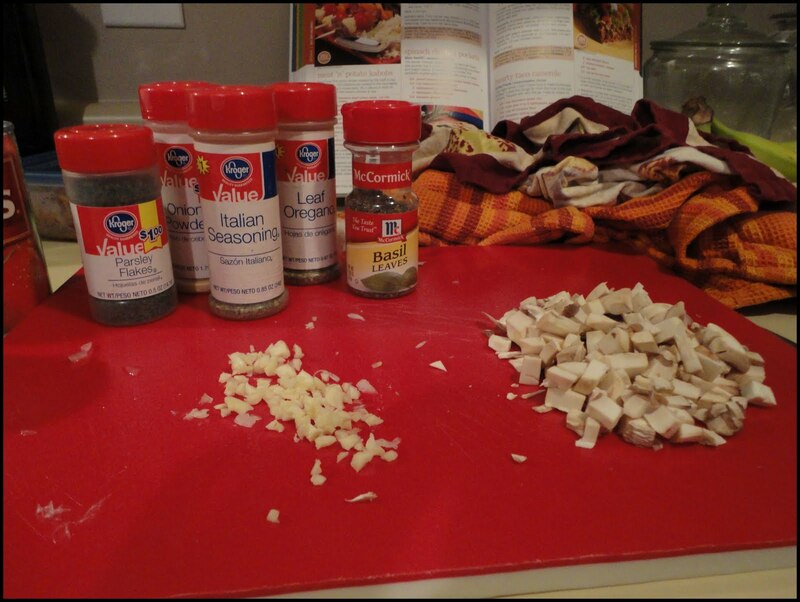 My mom taught me this recipe and because of that the ingredient list is always changing and the amounts are guesstimates :) I often cook this way because it is the way she taught me and I love it! (Baking is a different story; I see the necessity of exact measurements while baking.) 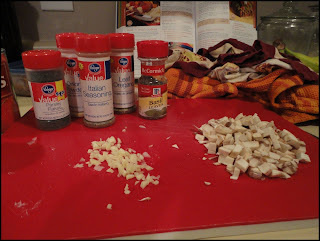 But with cooking, I love that I can add or subtract amounts and make the recipe exactly to my liking. So here is my (Jan's) recipe--it can be changed to your liking, thats the beauty of it! I also made it the night before so I could let it simmer on the stove for awhile. I happen to think the sauce tastes better when it is able to sit and marinate for a few hours. See I told you that was easy!! Enjoy! P.S. 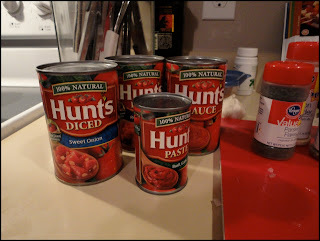 As much as it looks like it, I am not pushing Hunt's tomatoes. They just happen to always be the ones I have coupons for and/or are on sale. I've been searching for a homemade spaghetti sauce recipe for awhile, so I will definitely give this a try. I will probably leave out the meat though.